1. 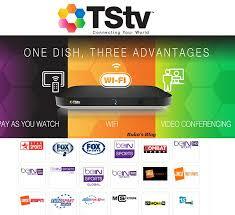 The N5000 for TSTV initial purchase includes a decoder, a dish and a remote control but excludes any installation service charge. 2. TSTV Pay AS You Go pause service i.e. the ability to pause your subscription when not in use would be available to those that would go for the maximum subscription which is the monthly N3,000 package and you would only be able to pause subscription not more than 7 days, thereby allowing you 37 days at most for your monthly subscription. So don’t expect to use your 1 month subscription from January to December in the name of pausing or expect to user 1 day N200 subscription for 1 month. 3. The first time you buy the decoder is the only time you would be able to enjoy up to 20GB of data as bonus, for subsequent full monthly subscription comes with 10GB of data and not 20GB as some of you might be thinking. 4. TSTV has incorporated its subscription service payments into Quickteller the popular E-payment service in the country and just like DSTV, you would also be able to easily pay for your TSTV subscriptions through Quickteller. Let see how it goes for the next few month If TStv will be able to deliver.